In Asian cultures, as is anywhere, the concept of life is expanded to include more than just the ability to carry out day to day tasks and to exist as a citizen of any country. In Japanese poetry, for example, the metaphors for human life take on almost endless permutations, and this is reflective of how heavily life weighs on the culture that is attempting to apprehend it. While not everyone knows how to handle it, there is a general consensus that it is never to be taken lightly, not even for a brief moment, for it is the steel hook from which we Asians hang our personal and collective histories. As life takes on a multitude of forms in the wake of its daily evolution, there is a striving to make it more meaningful. We spend endless years trying to make it more comfortable, more worthy of emulation, to the extent that life itself is sacrificed in the process – through selfless sacrifices, a brutal work ethic bordering on compulsive madness, and forgetting our personal desires so that hopefully, something more meaningful would emerge from the woodwork. That is why suicide has always been the most complex topic for Asians in general. This is a deep dive into the cultural impulses and the ideas swirling around this taboo topic, and more than answers, this analysis aims to generate more burning questions that will perhaps, one day, create better dialogues about self-killing and the possible reasons behind it. The Aokigahara forest in Japan translates to “Sea of Trees,” but the sudden spike of completed suicides in the area in the 2000s has earned it the international moniker of “the Suicide Forest,” and the name stuck. YouTube vloggers, whether professional or ill-informed, have entered the Aokigahara either to document the mementos left behind by those who have disappeared and died there, or perhaps scare themselves silly by imagining things. It is widely believed that the Aokigahara is the home of the yūrei, or simply, ghosts. Of particular interest is the belief that even before the Japanese government documented the alarming rise of suicides in the “Sea of Trees,” the area had long been associated with the paranormal activity, specifically from the yūrei of those who have been left to die. Spaces associated with death become part of the public imagination, and we all know that to a large extent, what’s considered part of the public consciousness is a most private affair, and it can dwell in the deepest recesses of a person’s psyche, for better or for worse. To have a place like the Aokigahara in Japan is to acknowledge that suicide, or self-killing, is indeed a part of a country’s cultural and historical DNA, and that signals for a closer, more probing look at the phenomenon as a whole. Since 2010, the Japanese government has stopped publicizing the actual figures of completed and attempted suicides in the Aokigahara, in an effort to cleanse the place’s reputation. Of course, to be associated with self-killing is not good business, and in Japan, part of propriety and success is keeping one’s name sterling clean. But not everyone is grim about this particular wood of suicides. A local Japanese musician, Kyochi Watanabe, is doing something more concrete about the suicides – through music. The 60-year old musician has been battling the reputation of the Sea of Trees for almost a decade now by blasting music near the edge of the forest. His mission? To reach out to those who wish to end their lives in the forest. 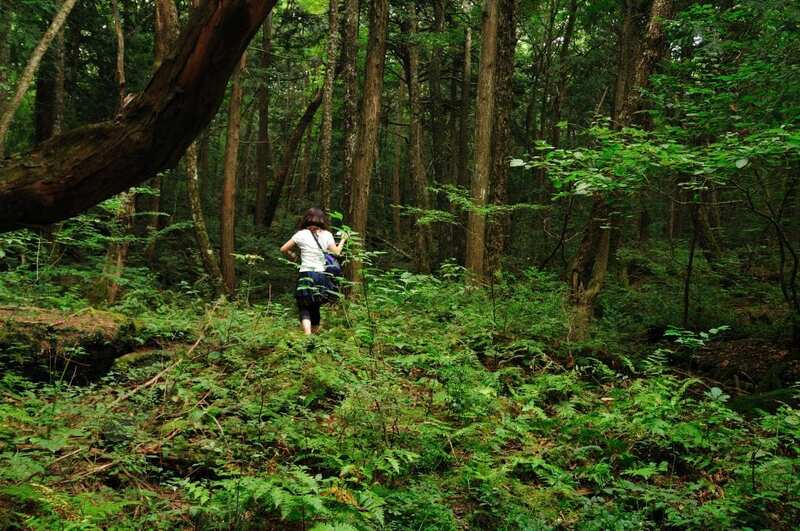 Watanabe, who now lives in a hut at the edge of the Aokigahara, says that it is “painful” to hear that people are calling the forest a forest of death. According to him, it is a “forest of nature” and a “forest of religion,” not a forest of death. He believes that music is one way of reaching out to people who are suffering from inner turmoil – and he has proof. He has observed people turning away from the forest when they hear the blast of music coming from his hut. East Asia is the home of the most economically advanced nations in what is collectively called “Asia,” but it appears that even economic advancement does little to reduce the incidences of suicides, particularly in the older segments of the population, with South Korea exhibiting a higher suicide rate in the 65+ years old segment. The four major factors that are seen driving cases of suicide are illiteracy, lack of social justice, unemployment and poverty, with poverty being the larger, more all-encompassing factor that gives rise to a host of other suicide triggers in people’s lives. One must also consider psychological factors that make it difficult for troubled individuals to hang on to life. Psychiatric disturbances and long-term conditions such as clinical depression, schizophrenia, and full-blown psychoses of every color, these also contribute to the rise of suicides not just in East Asia, but in other Asian regions as well. In developing countries where mental health care is poor, the likelihood of a suicidal mental patient getting proper medical help is low and bordering on the impossible. While the statistics rarely show a concrete link between low-income families and the incidence of suicide, this merely means that the suicide statistics have yet to be academicized, but such suicides do happen quite frequently and are reported in local news. Independent research on suicides in Mainland China has shown that nearly 30 suicides occur in every 100,000 people, placing this country as the third highest in terms of suicide cases in East Asia. While both genders experience extreme life stresses, the rate of female suicides is higher than male suicides. 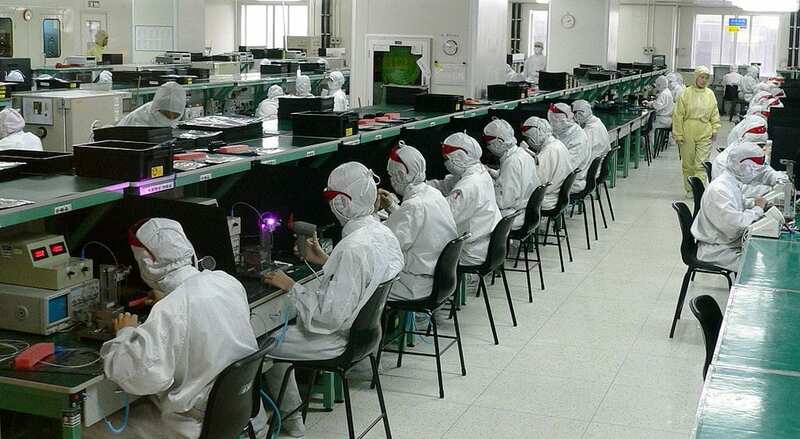 One of the biggest factors being considered is the inhuman conditions in many of the country’s factories, where sweatshop conditions and dangerous work environments are commonplace. More Chinese women have died to self-killing than males. The annual death toll for Mainland China is 287,000. The rate of suicide in rural areas is higher than metropolitan or urban areas, and the highest incidences of suicide come from the older brackets: 35-64 years old and 65+ years old. Those aged 65+ are more likely to commit suicide, based on official state statistics. Suicide is the sixth leading cause of death is in the country, followed by accidents, pneumonia, and different cardiovascular diseases. Japan also has the highest suicide rate among all the developed nations, and holds the record for losing an average of 90 people per day to self-killing. Considering Japan’s population, 90 is indeed a large figure. Male suicides are double than those of women in this country, but women are two to five times more likely to attempt the act. Overall, males are more likely to take their lives than females, with the exception of Mainland China. This applies to both developed and developing countries in Asia. A higher rate of rural suicides has been noted as well. In 2017, official statistics have also shown an alarming trend in the rise of child suicides in Japan. From 2016 to March 2017, a total of 250 children from elementary school to high school have taken their lives. According to the schools, about 140 of the deaths are unexplained, as the children did not leave behind suicide notes. South Korea’s suicide rate is 31.7 per 100,000 people and has increased two-fold since the last decade alone. The most common reasons for suicide are job loss, family breakdowns, poverty, family traditions, and having low economic status. Like Japan, China and other economically advanced Asian countries, social and economic statuses are important in South Korea, and unfortunately, these become triggers for suicide as well. The Korean suicide rate is the highest among the most developed nation in Asia, and has exceeded Japan’s suicide rate in the year 2000. The aging population and crumbling familial structures are two of the most pressing issues that are seen to be causing suicides more and more in South Korea. Every country is unique in terms of dealing with life, death, and suicide. In Japanese culture, where the Bushido code of the samurai played an important role in shaping the Japanese patriarchy, a deep sense of honor is instilled in people from childhood. But one has to understand that with ‘honor’ also comes a deep, almost maddening sense of shame that almost cannot be recovered or undone when a person does something that is deemed dishonorable to his or her family. Like in other Asian cultures, the family was considered the cornerstone of Japanese society, and thus, the family takes precedence over the individual in many respects. Individuality is cast aside when the issue at hand involves the family’s name and reputation. Reputation is extremely important in all Asian countries, bar none. It is the crowning glory of a family, and to be able to sustain the clarity of a family’s name for generations is the ultimate dream, especially by those from the older generations. If the matter at hand involves something that a family member has done, then why is suicide considered an option? It is considered an option because there is a belief that in order to bring restitution to the besmirched name of the family, the erring member can kill himself instead of harming everyone else by the besmirching of the family’s name. The classic litany of Mulan’s dragon minder in the Disney movie is actually a harrowing reference to how Asians think of honor: it’s permeates everything you do, it is in your very flesh, stamped onto the ivory of your bones. More than just a permanent tattoo, it becomes even more important than flesh, for you offer flesh in exchange for a better name for the family that you will be leaving behind. Another pervasive Japanese belief about suicide is that it elevates people to a level of a god, and one becomes “free of criticism.” In light of what modern Japanese people have to contend with just to have a comfortable life, we can easily visualize what “criticism” may be pertaining to in modern times: low social status, joblessness, etc. In short, the burden of modern Japanese life becomes the automatic source of disgrace and helplessness, and in order to free one of the burden, one must completely exit the landscape of the living, so one can be “free of criticism” and therefore, attain the status of gods. And while the belief is religious and is probably not really that pervasive, we must remember that impulses find their way through culture no matter how much it changes, and if this belief can still be heard from people in 2019, it is safe to say that it is still being passed on, circulated and believed by the Japanese – and for a belief to exist means it still has relevance and power over people.